‘Captain of the bush’ (1823) painting by the German artist Johann Moritz Rugendas. 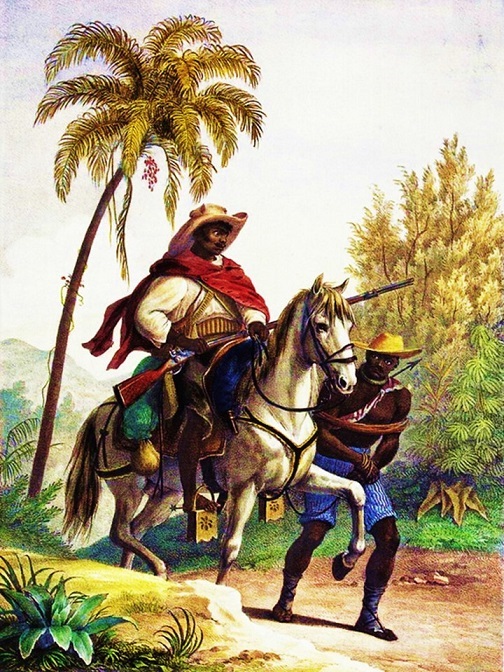 Captain of the bush or bush capitain (capitão do mato, in Portuguese) was the expression used in Brazil for the function of capture of escaped slaves. Included in this activity was the destruction of quilombos, which were fortified refuges of slaves. With the growth of the African slave trade, with cultures that included knowledge of slave-catching techniques, the activity also expanded, especially from the 17th century onwards. Most bush capitains were free and poor men, including whites, but also blacks and race mixed persons, many of them former slaves. The activity was not regular, but it spread in all areas of the slave economy. There were those who were autonomous and those who were civil servants, these appointed by letter of recommendation and who were under rules and limits of authorities. They received money, armaments and men under their command, especially in larger actions, such as fighting quilombolas. But the bush capitains themselves were suspicious of the authorities, fearful that they might turn against them, so that they prevented them from carrying out their duties for long periods. In the USA, corresponding activity was exercised by slave patrols, or patrollers, formed by whites. 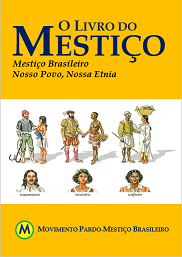 The term capitaão do mato is also used today in Brazil to refer to negros and mestizos accused of serving white supremacy.